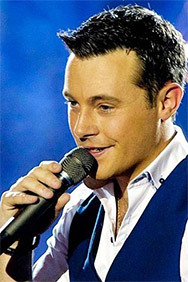 Nathan Carter is one of the biggest names on the Irish music scene and is fast becoming a big name all over the UK with his fine performances that include the mega hit song ‘Wagon Wheel’. Nathan and his six man band perform a great variety of country, Irish, pop and ballads – music for every one of all ages. Nathan is an expert accordion player so you can expect a bit of hand clapping, foot tapping hooley as well and this friendly and good looking young man will perform a superbly entertaining show that will make you want to see him again.